Are You an Adult Who Needs Braces in Fairfax VA? Are You an Adult Who Needs Braces? Read This. Have you recently found out that you need braces? Are you hesitant to get braces as an adult since you have to lead business meetings just about every day (and you’d probably be embarrassed wearing metal braces)? We have the best solution for adults in this scenario— Invisalign clear braces. Keep in mind, though… Invisalign braces aren’t for everyone. Continue reading to learn more as we share common questions (and our answers) regarding Invisalign clear aligners. I have a slightly crooked tooth in the front of my smile. Can I get Invisalign? We understand that it can be embarrassing to smile if you have crooked teeth. Maybe you feel that you need to cover your mouth so no one notices the slightly crooked tooth. Maybe you avoid smiling as much as possible. All of these scenarios are typical for those who have slightly crooked teeth. The good news is that Invisalign is a great option to fix slightly crooked teeth. The only way to know for sure, however, is to schedule a consultation with your dentist. I have a pretty severe overbite. Will Invisalign fix my smile? The answer: it depends. When you say “severe,” how severe do you mean? While Invisalign has been proven to fix cases of overbite, it might not fix all cases of overbite. For those of you who do not know, an overbite occurs when a person’s upper teeth bite over the lower teeth. This is commonly referred to as “overjet” by dentists. Depending on the severity, an overbite can cause dental problems. To find out if Invisalign can fix your overbite, just call your dentist office to schedule an Invisalign consultation. My smile is nice except for the few crowded teeth in my lower jaw. Will Invisalign fix this problem? That’s great…we’re happy you like your smile! However, we’d like to help you with the crowded teeth problem you’re experiencing. Just so everyone is aware, Invisalign can be used on both the upper and lower jaws. So in this case, Invisalign is a potential solution to teeth crowding in the lower jaw region. Also, Invisalign can straighten out overly crowded teeth. A tooth extraction may be necessary to create space for the remaining teeth. If a tooth extraction occurs, Invisalign might be the solution you need to straighten out the remaining teeth for a beautiful smile. Your dentist will need to evaluate your smile and determine whether or not tooth extraction is necessary. X-rays will most likely need to be taken, too. Find out if Invisalign can fix your crowded teeth by scheduling your appointment with a dentist. I’ve had braces when I was younger, but it seems as though my teeth shifted recently. Do I need metal braces again or will Invisalign work? First off, don’t worry—you’re not the only one who is experiencing this problem. We know it can be frustrating to spend four years wearing metal braces (or however long you had them), only to experience crooked teeth again ten years after they were removed. What some orthodontic patients don’t understand completely is the importance of wearing retainers. Without full patient compliance to wear the retainer, teeth can shift back into a crooked position. Even though every tooth might not shift back into the exact position they were in before braces, the shifting can be enough to be noticeable and become bothersome, cosmetically speaking. If that’s the case, Invisalign can most likely work, but your dentist will have to make that determination. The bottom line—clear braces are a great option to fix teeth that have shifted slightly after the removal of braces. I’m getting married in about 11 months and I’d love to straighten my teeth so I look my best in pictures. Do you think I can get Invisalign? One important thing on a wedding day is the bride’s confidence—she wants to feel like a princess. She wants to enjoy the entire day with her husband, family, and friends without feeling self conscious about her smile. Feeling self conscious is not a desirable emotion for a wedding couple, especially when it comes to taking pictures of the most magical day in your life. Whether it’s the husband or the wife who is self conscious about his or her smile, the fact of the matter is that you want to feel confident on your wedding day. 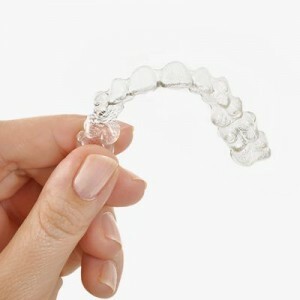 Invisalign can potentially be your solution, depending on the severity of the dental issues you have. For slightly crooked teeth, Invisalign can be a solution. For severely crooked teeth, Invisalign might not be the answer. If your dentist says that Invisalign can fix your smile, you can potentially have that beautiful smile you crave on your wedding day—11 months from now. So you’re telling me that adults can straighten crooked teeth with Invisalign? You see—Invisalign can be the perfect solution in many different scenarios. 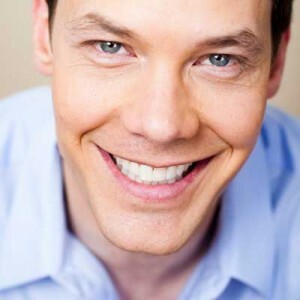 Whether you’re a male or a female, adult or a teen, Invisalign clear braces can fix your smile. Of course, patient compliance is very important since you must wear the clear aligners for 20-22 hours every day. That should be easy, though, since they are comfortable and easy to take care of. And best of all, you can remove the aligners to eat, brush your teeth, and for special events (i.e. weddings, reunions, etc). So yes, we are telling you that adults can straighten crooked teeth with Invisalign clear braces! And if you are afraid of going to the dentist for treatment, we have sedation dentistry options to ease your fears and anxiety. Just ask us about it when you call our office. If you live in or near Fairfax, VA and are looking for an Invisalign dentist, call Smiles at Fairfax Corner. We are conveniently located in the Fairfax Corner community next to many shops and restaurants.